An interview with Keith Klein, Director and partner at Camp Laurel and Camp Laurel South, two Maine Camp Experience camps. There is a greater awareness of diet and health than ever before; parents (and even kids) want to know what they’re eating. Just as school cafeterias have made menu changes, so, too, have camps adapted to the “foodie” era. We recently sat down with Keith Klein, a partner at Camp Laurel and Laurel South, to discuss the growing interest in food served at camps. So it can’t be overlooked: Good food is an essential component of a good camp. But aren’t camps known for snacks, and lots of them? Along with increased food options, food allergies are also a part of the changing needs in kids’ diets. Gluten and peanut allergies are the top contenders. “At our camps we have a gluten-free chef; someone who is hired and cooks for the children who are strictly gluten free. We have a gluten-free zone, where gluten-free food is cooked in one section of the kitchen and served in one area and it’s one chef handling the food. It seems to work well. Maybe the days of having a designated gluten-free chef are going to be over because food suppliers are saying now we can accommodate the regular menu with really tasty items at reasonable prices and it’s all gluten free. It looks like the large providers of food products at camps are taking notice of dietary needs also. Camps are also responding to campers who are picky eaters as well. Meal options aside, camps are also realizing eating organic is important to parents and their campers. “We buy more organically. We buy more locally. We support our local farms. We even have a farm to table cooking program at our camps. 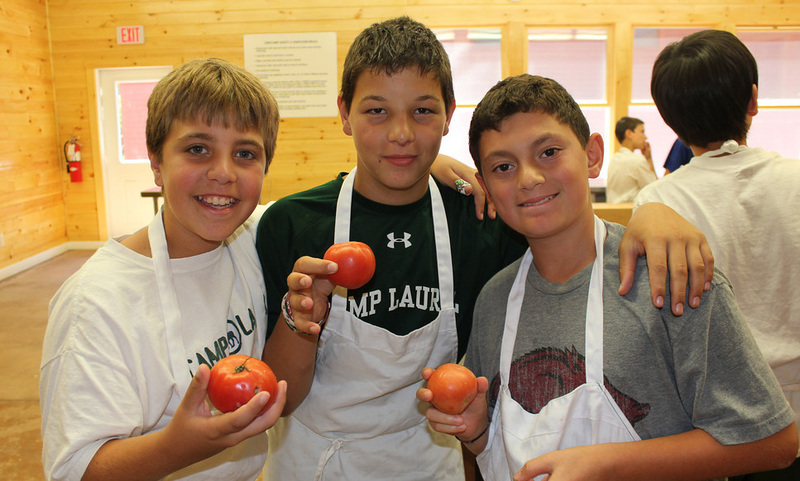 There was an article last summer in the New York Times on the front page of the dining section that talked all about the culinary programs at Camp Laurel and Camp Manitou. It’s really relevant, check it out. More options, more organic, more local. It’s all a work in progress, but camps are taking up the challenge.